A grow, harvest, and cook blueberry guide, with garden tips as well as recipes for cooking, baking, and preserving your blueberries. 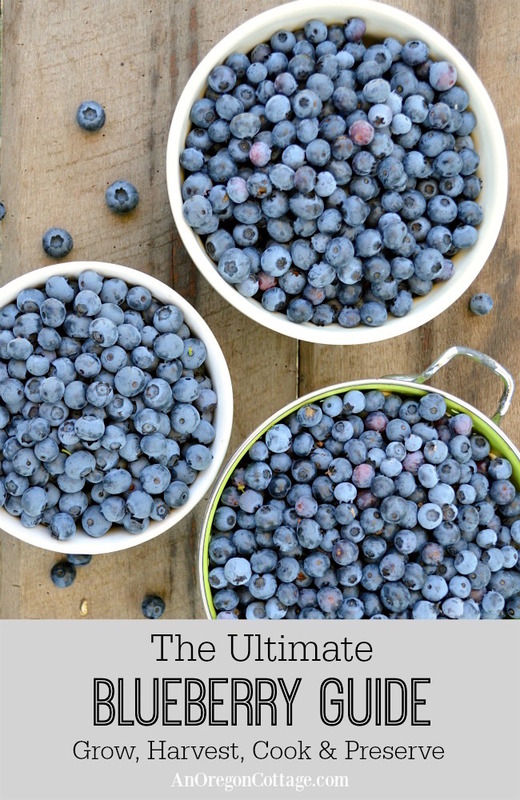 This blueberry guide is a part of a continuing series of Ultimate Guides where you can find all kinds of growing information and delicious recipes for cooking – both fresh and preserving – a specific fruit or vegetable. See more fruit and vegetable guides here. 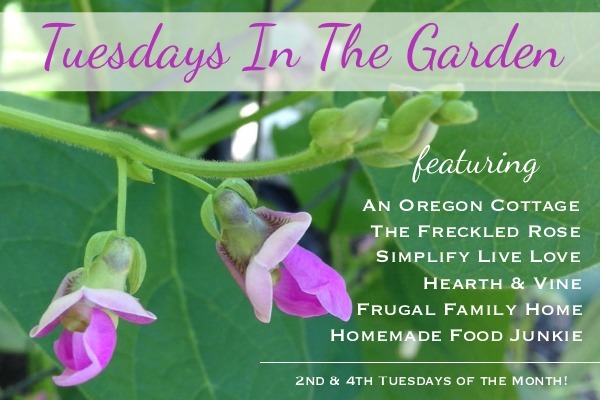 This is also a part of Tuesdays In The Garden, with a theme of Garden Harvests – always my favorite part of gardening! 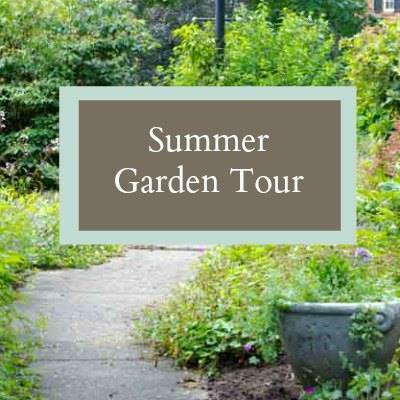 At the end of this guide, you’ll find links to garden tours and ways to enjoy your harvests. 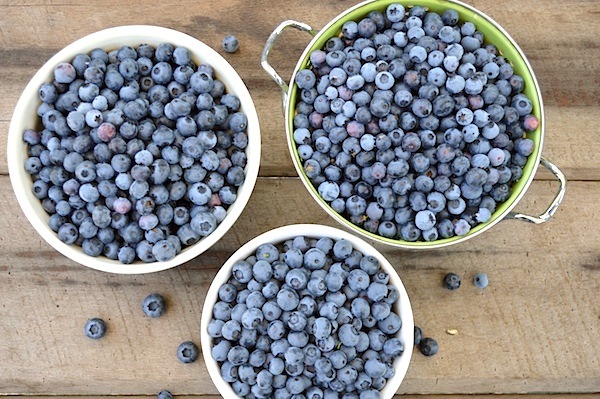 Blueberries – and blueberry bushes – may be some of the most versatile fruits out there. The bushes are actually beautiful in themselves and are well-behaved, making them perfect in either rows or in mixed shrub borders. 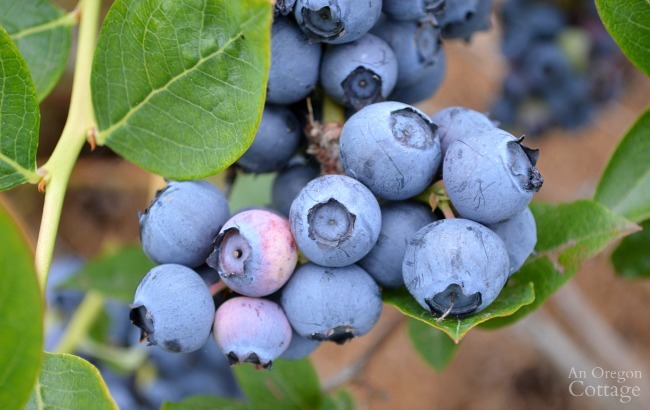 That means it’s easy to grow a couple of blueberry bushes no matter where you live – they even have varieties specifically for growing in containers. No excuses, right? Why would you want to? Well, obviously blueberries taste delicious – that’s a given. But they are also super easy to preserve when they’re in season and of course you’ve probably read how good blueberries are for you. So good in fact, that there are more and more acres of land being put into growing blueberries in my part of the world every year (and maybe yours, too). There are a lot of varieties of blueberry plants and where you live or how you want to grow them will determine what varieties you choose. You’ll find basically three main types: highbush (5-9 ft. tall), lowbush (a groundcover type at 1.5 ft. tall), and half-high (3-4 ft. tall). Both lowbush and half-high blueberries are good for containers, with Top Hat, Northsky, and Patriot (3-4 ft.) being a couple of stand-out varieties. Within these types, there are varieties bred for either northern or southern climates. And while most blueberries are considered self-pollinating, you will get a bigger and more reliable harvest by planting 2-3 varieties. This is also a way to extend your harvest through out the summer. Once you have your plants chosen, you’ll want to choose a spot that gets the most sun possible. In both rows and planting with other shrubs in a border, give blueberries more room between shrubs to make picking easier (a good 4-5 feet between plants). Blueberries like acidic soil, so adding a large amount of compost and mulch will go a long way to growing healthy plants. You’ll need to give them consistent water – I use a soaker hose turned on once a week for 3-4 hours – and add a mulch of pine needles, saw dust or pine bark. 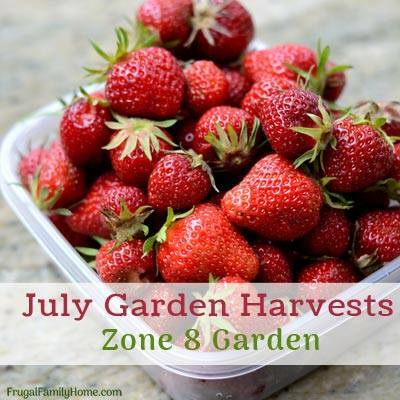 Apply an organic fertilizer yearly (my favorite is a simple garden compost). After about four years, you’ll need to prune to keep the plant healthy, but it’s a light pruning. In early spring, look for dead and old branches to cut out, as well as any that are touching the ground or crossing and crowding others. Harvest: there are two keys to harvesting blueberries: keeping the birds away and picking often. You can cover the plants completely with bird netting, draped on the plants or stapled to a wood frame. Or you can use these Dollar Store finds to keep birds away long enough to harvest. I found them much easier to deal with than bird netting, though I had a lot of plants and didn’t mind if the birds took some. Other than this, growing and harvesting blueberries is a breeze – almost a plant-it-and-forget-it food that comes back reliably each year when planted in the right spot. 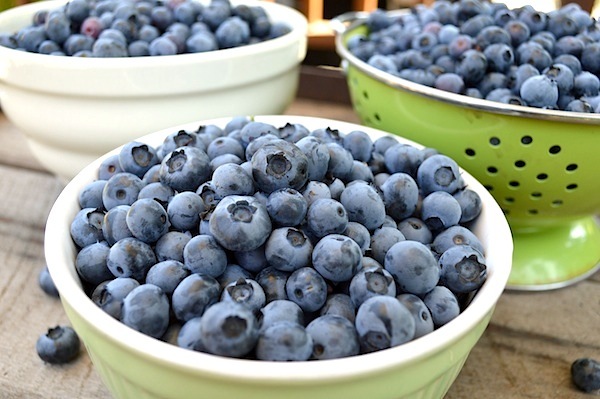 You can read more about planting and growing blueberries here. Wash and dry if needed (if grown organically and picked yourself, there’s no need). Spread in a single layer on a cookie sheet. As single as possible – as you can see in the photo on the left, there are some berries on top and that’s okay. 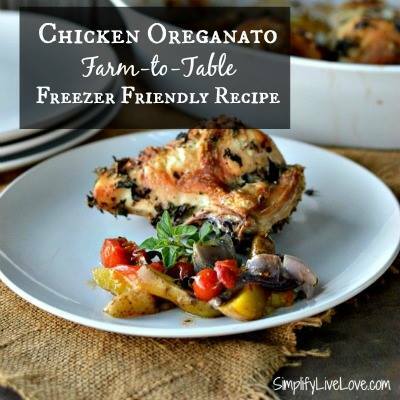 Freeze until solid, 12 hours or overnight. Place frozen berries in a freezer bag or freezer container, label, and return to freezer to storage. 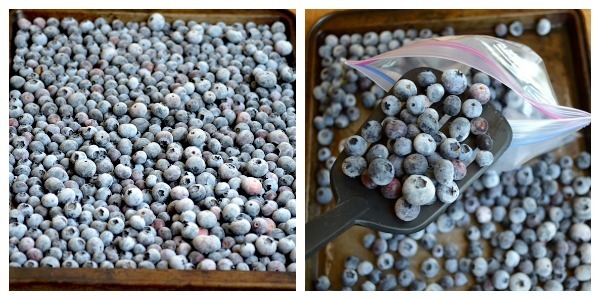 Blueberries prepared this way have lasted as long as 2 years in our freezer! Wash and dry blueberries, if needed. 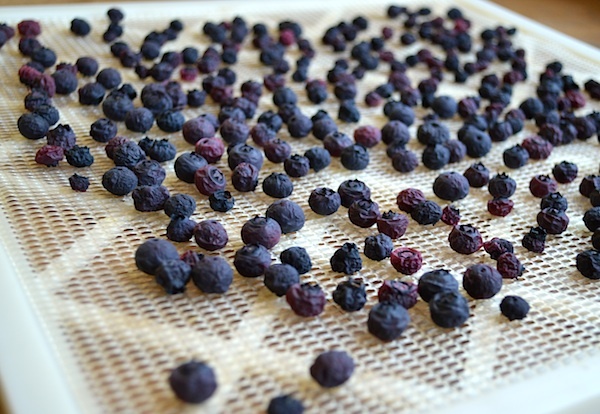 Lay the berries on a tray of a food dehydrator in a single layer (I have an Excalibur Food Dehydrator, which I really love). If you want to take the time, you can save out all the big blueberries for eating and try to dry berries of roughly the same size so they’ll be done together. Or not – you can see above I usually don’t. Dry the berries at 125 degrees (or recommended setting for fruit for your dehydrator model) for 4-5 hours before doing the first check. I pull out berries that are dried (no moisture remaining when pressed) and place into a freezer bag or mason jar, before continuing to dry the rest. Check every 2-3 hours after the first check. If you are absolutely sure the berries are all dry you can store at room temperature. Since I’m taking the easy way and drying all different sizes without blanching, I choose to store dried blueberries in the freezer. They are perfect on cereal and in baked goods directly from the freezer where I can be sure they will last. *The ‘official’ way to dry blueberries is to blanch them first to break the skins, but since I’m not a fan of blanching (like beans or snap peas), you can guess I don’t go to the trouble. I’m okay with the slightly more papery end-product without blanching, but if you want a chewier dried blueberry, follow the steps outlined here (which also has oven drying directions if you don’t have a food dryer). Blueberry Maple Sweetened Jam (used this recipe, but replaced the strawberries with blueberries) – it makes a loose jam that works as a syrup, too, and we like that it’s only sweetened with maple syrup. Blueberry Muffin Bread @Frugal Mom-eh! 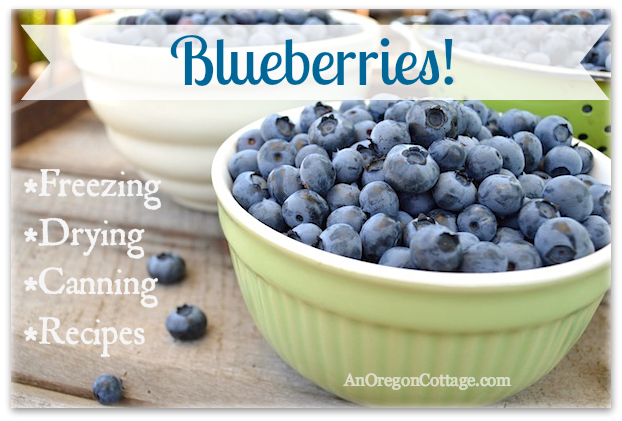 What are your favorite blueberry recipes? Feel free to leave a link in the comments to share! Note: this was originally published in 2013 and has been updated with more information and recipes to align with all the Ultimate Guides. This is a very detailed and informative post about blueberries. Unfortunately, it’s not viable to grow blueberries here in the Philippines due to the soil type. But I think we can grow them in pots or containers. By the way, thanks for sharing those delicious blueberry recipes. I love blueberries! Thanks for sharing these wonderful recipes! I love blueberries! When we were in the PNW last week, I was so jealous to see them growing so prolificly. I have not had great luck with blueberry bushes in Iowa, but I haven’t given up yet. Thanks for the tips, Jami! What do you do with your blueberries after you dry them? I guess what I’m asking is how do you use them? Eating out of hand? In recipes? I’ve been using my dehydrator a lot this summer since I haven’t been in the mood to can anything so I’m trying to find ways to use it all up this winter. I love, love them on my morning granola, Julie – they are perfect little chewy-sweet blueberry bombs. 🙂 Honestly, I only used them this way, since I didn’t have much and I was hoarding them! I think they would be good in muffins, too, and things like that. You can eat them, they just are a bit more papery than the commercial dried berries we’re used to. 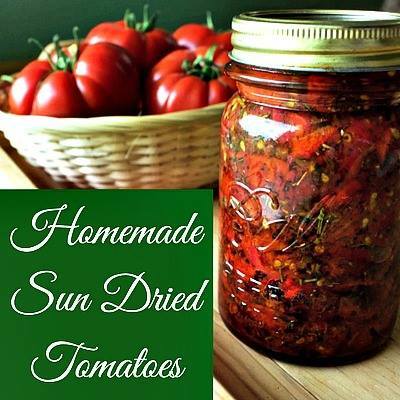 If you dehydrate them from the freezer the skins will burst without having to blanch them. Great idea – thank you Christen! 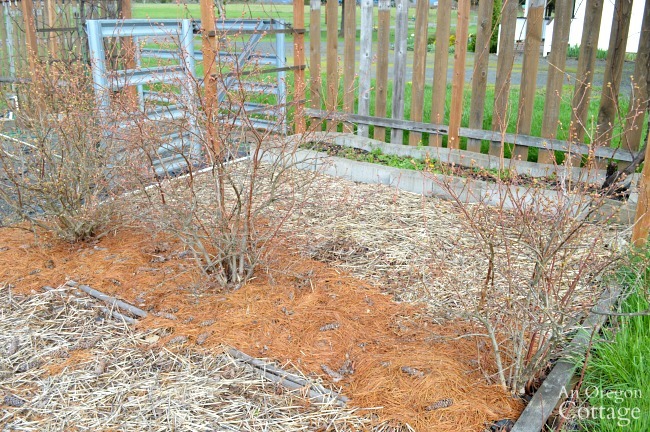 What time of the year is best to plant blueberry bushes? I live in Northern Virginia. Either spring or fall is a good time, Katie – personally I think fall is one of the best times. Fall-planted shrubs (any) have time to get established before putting out energy on new growth and often seem to do better. Plus, no need to worry about watering through a hot summer! I’m so excited for our blueberry harvest. This has been such a slow year. They are just coming on now. Thanks for the great tips! I love our blueberry plants they are easy to maintain and beautiful too. I love plants that don’t need too much maintenance. We have pink lemonade blueberry plants. They were spendy to purchase, but they have quite the range of beauty all year long. They start out with beautiful blue-green leaves in the spring. Then these beautiful pink and purple blooms come onto the plant. As the year goes on the leaves darken as the blueberries form We harvest in July and August. Then in the fall the leaves turn a beautiful red color and hang around until January. Our plants are only bare a month or two until they start all over again. I’ll have to give your method of drying blueberries a try. I dried some a few years back with the blanching and poking each one with a toothpick to get them to dry well. It worked but it was too much work for me. Your method sounds much better. I wondered what the pink lemonade blueberries were like – they are so unusual in the photos I’ve seen. Do they stay pink when ripe? Do you like the flavor? I love blueberries and they are so good for you. I have to a least try a container bush next season. Pinning this guide for future use. Thanks. 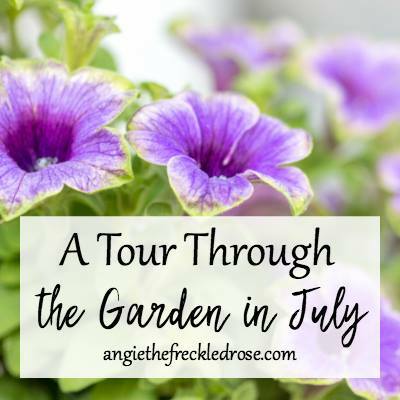 I find them such a pretty plant in the landscape, Patti – I hope you find room for a couple! I AM PLANNING ON SERVING BEANS & WALNUTS FOR XMAS. THE RECIPE SAID BLANCHE & I WAS WONDERING IF I COULD DO THE BEAN PART AHEAD OF TIME. WE HAVE A COTTAGE IN NORTHERN ONTARIO WHERE THE BLUEBERRIES ARE FREE FOR THE TAKING. WE HAVE A TALL CONTAINER AT THE COTTAGE WHICH HOLDS 4CS. BLUEBERRIES. I WASH & SORT THE BERRIES. THEN, I PUT THEM IN AN EMPTY MILK BAG. I USE A BLUE STRING AROUND EACH SO THAT I CAN RECOGNIZE THE BLUEBERRIES IN THE FREEZER. THEN, I PUT THE BAG IN THE FREEZER. I HAVE NEVER DRIED THEM & THEM SEEM TO BE FINE. THEY MAKE GREAT PIES. Thanks so much!!! I love your site! Just wondering abut the recipes on here…do I need to water bathe them or how long do they last? (I’m a new canner 🙂 ) Thanks! If it’s a canning recipe, it will say – and they are all water bath around here if it is a canning recipe, AnneMarie. I also have a number of recipes that I freeze as well as just keep in the fridge (pickles stay crisper). Let me know if you have any other questions, I’m happy to answer! I recently took a class on freezing, drying, and preserving done by my local extension agent. One thing I learned about blueberries is to NOT wash them before freezing. Instead freeze them directly off the bush and wash them when you take them out of the freezer. She said that the skins get thicker and tougher if you wash them before freezing. Plus if you don’t wash them you don’t have to lay them out to freeze before putting them in containers. I dried some blueberries in my excalibur. They look and feel like tiny hard blue pebbles. I have not used any of them yet. But you have inspired me to bake something with them. I don’t let the, dry that long, Melody. Of course that means that some of the larger berries aren’t completely dry, but I just store them in the freezer so it’s not a big deal. That way, I get more soft berries, though there are always a few smaller ones, too. The last time I dried blueberries I was not impressed with them at all. They had little flavor. I think I ended up tossing them. I followed the instructions for my food dryer. I was disapointed because I had tasted store bought dried blueberries and was excited to do my own. Any ideas as to why mine failed, any secrets? Like cranberries, store bought dried blueberries usually have oil and sugar added in the drying process (the only I have found to not are TJ’s freeze dried berries, but they aren’t the same either) and that’s how they get that rubbery/dry and sweeter flavor. Other than blanching first to break the skins, I’m not sure how to get that at home – and I don’t want to add anything to my berries, so I don’t worry about it. I like them in my granola and baked goods, but you’re right, Linda, they aren’t like the ones you buy! Oh, I’m so glad you posted this! Blueberry season is about a week away for us in mid northwest Michigan. We pick so many each year and love to try new recipes! Thanks for the all in one page for everything blueberry… Now which board shall i pin this to?